At many American Thanksgiving tables, sweet potatoes play a big role. These delicious, orange root vegetables are sugary on their own, so topping them off with brown sugar, butter and marshmallows can cause a serious glucose spike. For diabetics, this sudden increase in sugar can lead to high blood sugar. A reading over 180 milligrams per deciliter within two hours of eating a meal is considered too high and is called hyperglycemia. Your senior loved one may need to use the restroom repeatedly or be very thirsty. Avoid these unpleasant symptoms by reducing the amount of sugar in your sweet potato pie. Try this recipe from Diabetic Gourmet that still features those tasty sweet potatoes with cinnamon, but lessens the sweetness found in many other varieties of the dish. Cheesecake and lemon bars are another holiday favorite for many seniors (and young people!) Unfortunately, sugar is a huge part of both of these desserts. For a more diabetic-friendly variety, try lemon cream cheese bars from Taste of Home. This recipe was handed down several generations in author Patti Lavell's family before she altered it to better serve people who need to carefully monitor their glucose and insulin levels. You can use a packaged lemon cake mix to reduce the ingredients, and opt for fat-free cream cheese for an even healthier alternative. Everyone at your Thanksgiving gathering will enjoy these bars – they won't even know they have reduced sugar! Fruit salad is a great alternative for diabetic desserts. The ADA wrote that fruits are a great way for diabetics to indulge a sweet tooth while still gaining some nutritional value. 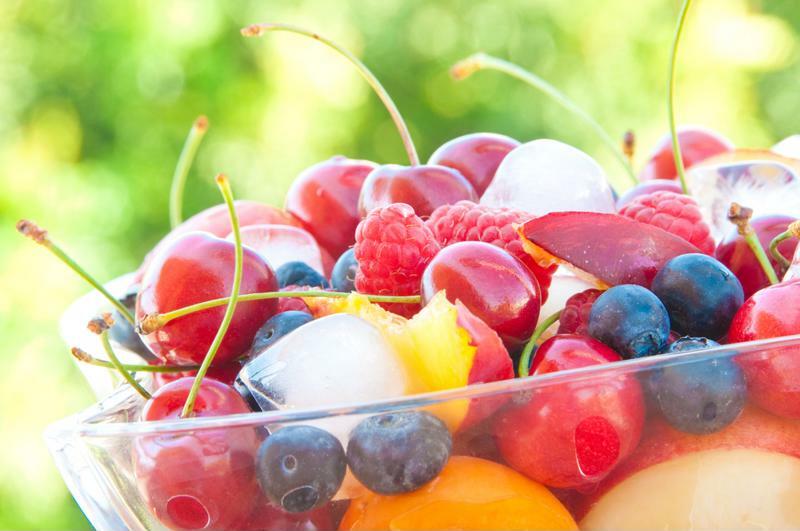 To make a senior-friendly fruit salad, look for fresh, frozen or canned varieties that do not have added sugar. Diabetics must factor in fruits as a carbohydrate when considering their meal and planning their insulin for the day, so consider letting your loved ones with the disease know about the fruit salad ahead of time so they can take medications accordingly. Fruit salads are a perfect dessert because anyone can eat them, no matter if they're vegan, vegetarian or gluten-free! They make the perfect dish to bring to an assisted living holiday gathering, too. Since glucose is a major issue for diabetics, you can alter just about any recipe to reduce the sugar levels and make it diabetes-friendly. Diabetic Living noted that sugar substitutes, whether artificial or natural, are a way to reduce calorie and carbohydrate intake – two actions that are necessary when controlling insulin and glucose levels. Ask your senior loved one what sugar substitutes he or she prefers. This way you can flavor your recipes and everyone will be able to enjoy your hard work. PreviousShould seniors cut back on caffeine?